We help businesses attract reward and retain employees through the use of highly focused proven strategies and technology. We also help professionals protect their most valuable assets through strategic planning and placement of highly specialized insurance products. How an 11 location restaurant saved over 20 hours a month with CorpStrat Payroll. SugarFish restaurants redefine sushi by changing the conventional approach to the sushi experience. SugarFish has 11 locations, over 300 employees – most with with multiple job codes. They also have a complex compensation plan and multiple formulas to determine bonus payments. 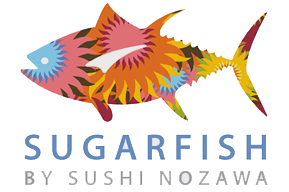 We helped SugarFish automate their customized compensation plan through our payroll system. Their payroll processing used to take the client over 30 hours a month with a different payroll provider. With CorpStrat Payroll, now it takes less than 4 hours a month. The company further integrated CorpStratHR, our web based human resources technology system to automate their key HR processes to increase efficiency and compliance. How a company goes from manual to digital administrative of their people and processes. AwesomenessTV is a company and a YouTube network that helps people make better videos, grow their channels, and discover other like-minded users. The key factors they were looking for were: benefits administration, payroll, time and attendance, core employee data and employee self-service. Additionally, they were looking for a system that brought the greatest amount of value. They knew that there were hundreds of systems on the market and they began their research with a simple Google search (“HRIS”). They turned to CorpStratHR to define their overall needs and receive recommendations on the systems that would best fit their specific needs. How to retain your most valuable assets – your people! 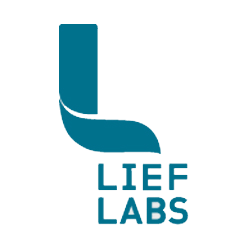 Leif Labs is a closely held manufacturing and distributor of ingredients and nutritional products in Valencia, CA. with 100 plus employees and growing! They came to Corporate Strategies for strategies to retain their key employees (“Rainmakers”). They desired a flexible approach to retain their most valuable assets – their people. Lief makes an annual contribution to a specially tailored insurance policy for the benefit of each key employee. Lief can change their mind annually about funding. Lief designs and controls the contract until such time as they desire to “roll out” the values to the key employee. Lief designates the beneficiary of any death benefit (the death benefit rises annually). Death benefits received by Lief are Tax-free. Cash values within the insurance contracts earn an “S&P” rate of return – with a floor of 1% and a ceiling of 13%. Policy cash values accrue tax-free. Employee can withdraw values tax-free, providing they are done through withdrawals/loans. When contract is rolled over. Employers seeking to retain key employees rely on CSI for strategic guidance and expertise through uniquely designed insurance strategies. How a company devliered the best benefits to their employees, while strategizing to minimize the rising costs of healthcare. Headquartered in Los Angeles, CA, Xytech is the leading provider of facility management software solutions for Media and Broadcast companies. Leveraging a 25-plus year history of innovation and market expertise, Corporate Strategies has provided 8 years of council in providing employee benefits. Each year, CSI team meets with the executive management of Xytech and develops a comprehensive plan to deliver benefits, while managing the costs and executing cost – effective strategies to minimize the risings costs of healthcare. “The team at Corporate Strategies has been invaluable to us in helping us navigate this space” says Richard Gallagher, President. “Considering that healthcare expenses have risen annually at a double-digit rate, CSI has managed to help us keep this line item relatively flat – a remarkable feat given the turbulent times we are in. Xytech delivers medical, dental, Vision, life, Long term disability and cafeteria plans through Corporate Strategies. How one Southern California company complied with ACA while preserving top level benefits for executives. Meet all minimum value requirements under the ACA. CSI benefits strategists negotiated with a carrier that waived participation requirements for the uninsured portion of the group, so that only those interested in enrolling would have to. The outcome was a win-win. They avoided penalties for not offering coverage, yet had very little exposure since only 2% of the manufacturing staff opted for coverage. How a local entrepreneur grew his business using CSI technology tools. Scott Onasch was a 26-year-old machinist who aspired to start his own machine shop. Corporate Strategies principal Martin Levy wrote an individual health insurance for Scott when he left his employer, to start what would become one of the largest precision machine companies in Greater Los Angeles. With an individual health insurance policy as a starting point, the team a Corporate Strategies help Scott grow to 60 employee enterprise in the San Fernando Valley, serving the company with Employee Benefits, Payroll, HR, Retirement Plans, and executive compensation strategies. Onasch credits much of his success to plan old “hard work” and attention to details, and also a close working partnership with Corporate Strategies. Steve Horowitz met Corporate Strategies agency principal Martin Levy 25 years ago, when he was a sales broker working for a full service food distribution company and had decided to “spread his wings” and start his own enterprise. Alternative Sales & Marketing grew to become one of Los Angeles most reputable and trusted food broker and promotional companies. Over the course of 25 years, Corporate Strategies has helped Steve grow his company and now it is part of a national food broker chain called Beacon United. The company has followed Corporate Strategies guidance on providing Employee Benefits, Retirement plans, Key-Man life and disability, protections for agency principals, buy/sell funding and embraced CorpStratHR, as they have grown to an enterprise of 50 Los Angeles-based employees. How a growing restaurant chain engaged CSI to assure ACA compliance, continued growth, and assure compliance. Café Gratitude was a group of 3 restaurants with approximately 100 employees and plans to grow rapidly. As they approached the end of 2014 with no benefit plan and the impending ACA Employer Mandate, they needed help. Café Gratitude hired a Third Party Administrator (TPA) to handle Human Resources for all locations; the TPA engaged Corporate Strategies, Inc. The process began with an extensive analysis of their current demographics, benchmarking of benefits in their industry and a thorough review of the specific plan options available to Café Gratitude. A benefits program was designed to include multiple plan options to meet each individual employee’s needs. Measurement, Administrative and Stability periods were set-up to track the variable hour employees and determine when these employees became eligible for benefits. Salaries were analyzed and the employee’s cost to purchase benefits was made affordable – this avoided large ACA fees to the employer.